Many internet users wonder why, even though they have a perfectly fast and smooth internet connection, sometimes they get errors such as About:Blank. This kind of error means that the computer is not merely protected from viruses and any other problems such as adware and malware. As users tends to download more and more applications or documents, cookies and caches build up to the computer causing crashes and freezing, and usually giving the error About:Blank. The usual causes of this problem are going to corrupted sites, downloading corrupted data, unfinished installation and even viruses/malwares. The error is sometimes confused of not having a good connection that is why many users tend to disregard the problem, and the problem keeps coming back. Internet user tries to neglect the problem, not knowing that neglecting it may cause more trouble to the system. The about:blank error is also known as the HomeOldSP hijacker because of its registry name found in the registry system. Computer starts to freeze and crashes more often, and the connection becomes very slow. The homepage becomes different or sometimes becomes a blank page with an address about:blank. Redirects the page to an international and pornographic websites. The computer automatically starts scanning for any viruses every time users open the browser since it detects any viruses. However, this kind of error can be dealt with manually; even the beginners can fix the problem. There are many ways to repair the problem. Open Internet Explorer browser, click on Tools menu, and then click Internet Options. A window will appear and in the General Tab, click on Delete Cookies and Delete Files. Then click OK.
Change the homepage address and setting under the homepage box. Then go to the Privacy Tab and click on the checkbox that states Block Pop-ups. Then click Apply, and then click OK. If flushing the temporary files is not enough, do a virus scan of the computer. Make sure that the antivirus software is up to date to be able to deal properly with the problem. The software will detect and delete all viruses and malwares. Login as the administrator of the computer. Click on Start, go to All Programs, then go to Accessories, select System Tools, and then click on System Restore. A new screen will appear, click on”Restore my personal computer to a previous period”, and then click on Next. Make sure save all documents done and close all the programs. Then, select the most current system restore point in the “click a restoration date”, and then click OK.
For the confirmation screen, just click on the OK button. The computer will automatically restart and will confirm the restoration had finished. Go to Start, click on Control Panel, and select Windows Firewall. A window will appear, under the General tab select and click the ON button, and then click OK. These procedures are easy to understand and safe to do. It would not harm your computer nor change anything on the registry system. However, many users would rather do the simplest way and hassle free method, but may cost more. There are many software and application today that can fix the problem easily and automatically in just one click. 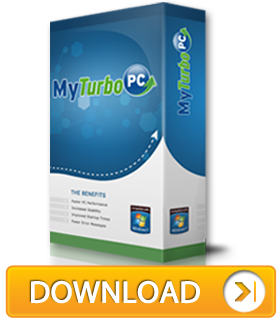 MyTurboPC is purposely created to fix such problem. The software will not just fix the about:blank error, it can also fix almost all errors and problems of any computer system.